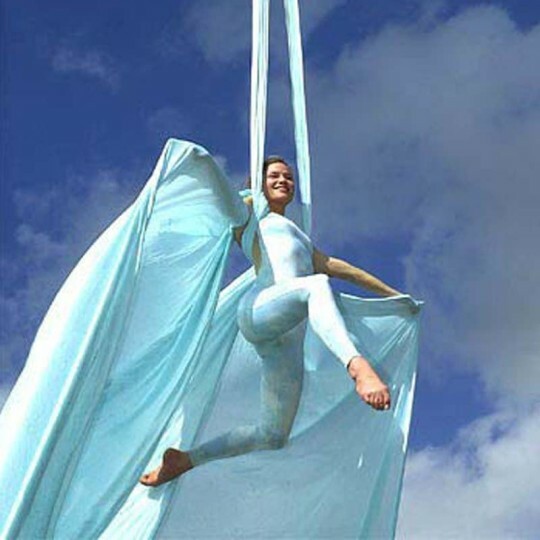 Spectacle de la Lune is an elegant aerialist suspended 50’ in the air, performing death-defying acts of grace and beauty relying only on her talent, her strength, and two long strands of silken fabric. She is attached to a 25’ diameter helium balloon that is floats high over events. Spectacle de la Lune is one of the most amazing and jaw-dropping experiences you will ever witness. Event planners all over the world have used this concept to create that “wow!” for their guests.